Puma, the global sport lifestyle brand, has announced the dashing all rounder of the Indian cricket team Yuvraj Singh as their brand ambassador. The flamboyant yet fashionable blue eyed boy of Indian cricket will now be the face of Pumaâ€™s new #Love 12 campaign launched especially for Puma and Yuvi fans. At the press conference held in Mumbai, Yuvraj interacted with the media present. The unique digital press conference was in a chat show format, where the media had an interactive Q&A session with Yuvraj Singh and Rajiv Mehta, MD, Puma, India while Mandira Bedi played the perfect host. As Yuvi bowled over the media with his charm and wit, he also connected with his fans and media from other cities through Twitter. 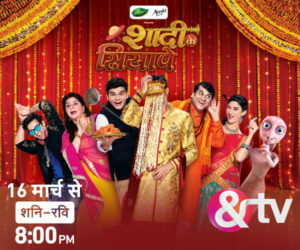 This digital platform helped Yuvraj reach out to his fans and the media in a never-been-done before manner. Yuvraj broke the news about his new association with Puma and what #love12 stands for to his fans on twitter at noon today through a video announcement. #love12 is an eco-system for Puma, Yuvi and fans to come up with ideas that make a difference, small or big. 2012 is the year of #love12. Every month, starting next year, #love12 will crowd-source one idea and bring it to fruition on the 12th of every month. 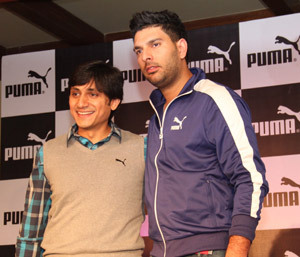 Those who want to know more about Yuvraj and Puma can join #LOVE12 on twitter.